A taxi crash in New Jersey left American mathematician John Nash dead Sunday, with his wife Alicia also killed, according to local media reports. Nash, 86, is well known for his work on game theory, and was the inspiration behind Oscar-winning movie (and Russell Crowe vehicle) A Beautiful Mind. Nash won the Nobel Prize for Economics in 1994, and just this week received the Abel Prize — another prestigious honor in the field. He had suffered from schizophrenia for over 50 years, and his struggle with the illness, along with his razor-sharp, mathematical mind, were the subject of the 2001 movie. After the death was announced, Russell Crowe tweeted his shocked condolence: “Stunned... My heart goes out to John & Alicia & family. An amazing partnership. Beautiful minds, beautiful hearts,” he wrote. Alicia and John were married in 1957, but Nash’s onset of schizophrenia complicated the relationship. They divorced in 1962, according to BBC, but remained close, and eventually remarried in 2001. Nash came to be regarded as one of the greatest mathematicians of the 20th century — known both for the originality of his thinking, and his audacity in approaching problems others would hesitate to try. Nash’s best-known contribution was his theory on non-cooperative games, which was published in 1950. The theory provided a simple mathematical equation for modelling any number of competitive situations, and is now used in academic fields from economics to social sciences to evolutionary biology, according to The New York Times. Many inspiring things have been said about Nash. “This man is a genius,” was the entire contents of a letter to support his application to Princeton’s doctoral program. “Jane Austen wrote six novels, Bach wrote six partitas,” Barry Mazur, a math professor at Harvard, told the Times. “I think Nash’s pure mathematical contributions are on that level.” And Nash, a man with a brilliant mind whose life was defined by soaring highs and guttering lows, predictably had some outstanding (and unsettling) pearls of wisdom to offer, himself. I knew it was good work, but you cannot know how much something will be appreciated in the future. You don't have that crystal ball. For the non-mathematics academics among us, Nash offered hope. “You don't have to be a mathematician to have a feel for numbers,” he told PBS. [W]hen I started thinking irrationally, I imagined myself as really on a Number 1 level. I was the most important person of the world. Nash began hearing voices in 1964, and found himself battling against them. But in a 2002 CBS interview, he seemed to have found peace. I thought of the voices as … something a little different from aliens. I thought of them more like angels … It's really my subconscious talking, it was really that … I know that now. I later spent times of the order of five to eight months in hospitals in New Jersey, always on an involuntary basis, and always attempting a legal argument for release. In the same statement, he highlighted the limitations of rational, normal thought. Despite his insight and his brilliance, Nash never felt he could completely grasp his own mental state. I know that if I could really understand mental illness, then it would be appropriate to make a big career shift. I would become a therapist and a leader in terms of mental illness. But I'm not in the position. Ah, geniuses. Good at talking game theory, less excellent at discussing their personal lives. In a 2009 interview with Al Jazeera, Nash was asked about the mutual attraction between himself and Alicia that led to their marriage. He pauses for a moment, mumbles a little, and says, "There weren't too many women in MIT." 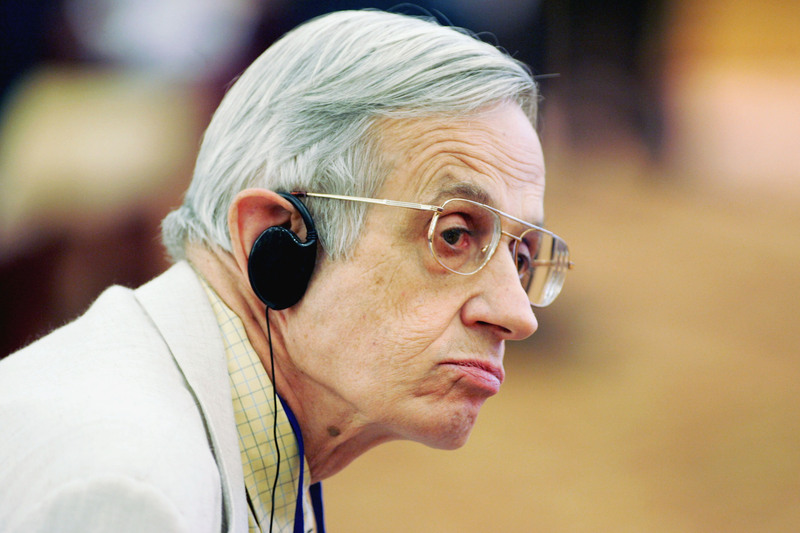 Ladies and gentlemen, John Nash.